This sturdy Children’s Gazebo and seating is an inviting area for your children – protected from the sun and rain – but with an open air space with partial shade. 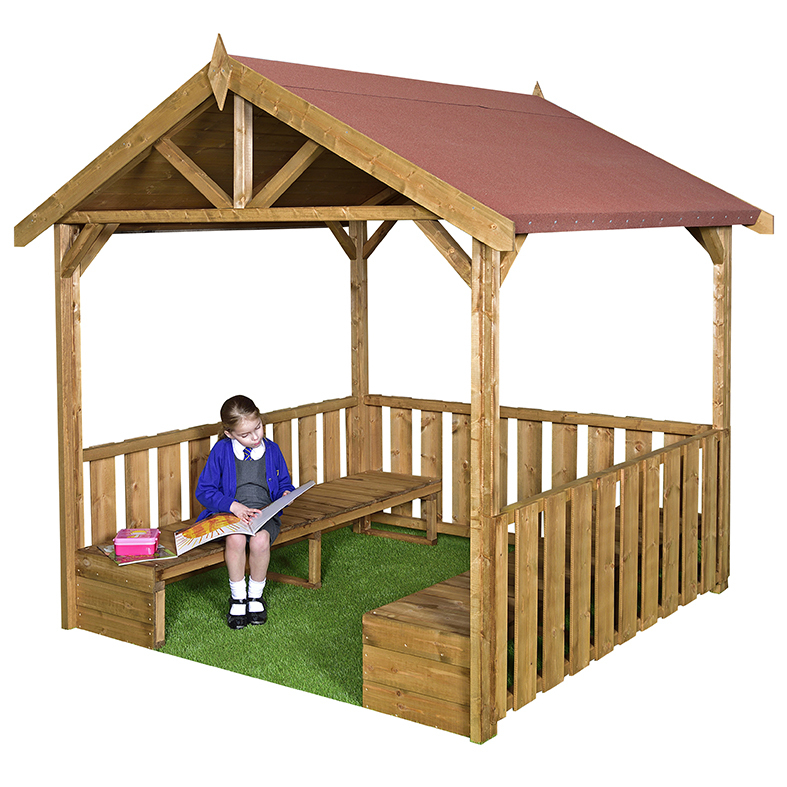 Our outdoor Gazebo is a great place for children to gather and engage in outdoor reading, observing the environment around them, or just simply playing and talking to friends. All edges rounded for safety. Assembled or delivery only option.